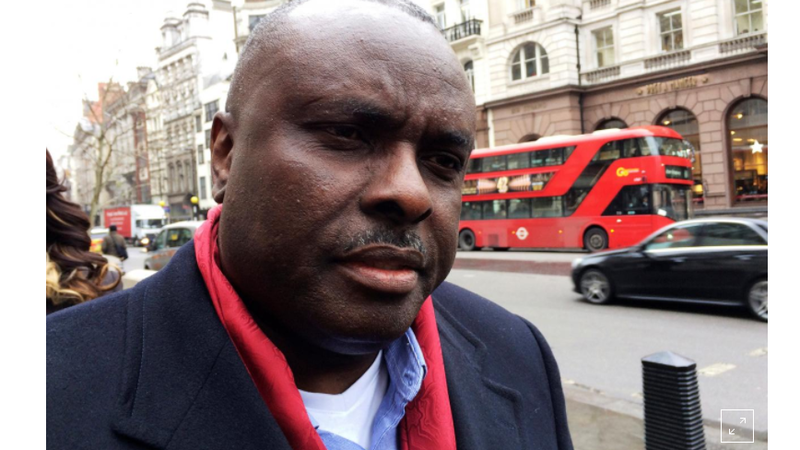 LONDON (REUTERS) - James Ibori, a Nigerian politician who spent years in UK jails after pleading guilty to laundering a stolen fortune in Britain, launched an appeal against his conviction on Wednesday, alleging corruption in the ranks of British police. At stake are about 90 million pounds ($130 million) of Ibori’s assets, which have been frozen for years. The British authorities aim to confiscate them and return them to the Nigerian state, but if Ibori’s conviction were overturned he would regain control of them. As governor of oil-producing Delta State from 1999 to 2007, Ibori became one of Nigeria’s most powerful men and enjoyed a millionaire lifestyle, with properties and luxury cars in several countries. At the time of his arrest he was in the process of buying a $20 million private jet. His conviction in 2012, after he admitted 10 counts of fraud and money-laundering, was a rare example of a big player in Nigerian politics being held to account for the corruption that has blighted Africa’s most populous nation. But Ibori’s lawyers allege that one of the British police officers who investigated him took bribes in 2007 from a private detective, hired by a British law firm working for Ibori, in return for inside information about the police investigation. They also allege that British anti-corruption police who were supposed to investigate the alleged bribery instead covered it up to avoid scuppering Ibori’s trial and tarnishing the reputation of the police. All the people against whom allegations of corruption or bad faith have been made have denied them. The appeal hearing, being held before three judges at London’s Court of Appeal, is due to last three days. Ibori was released from jail in December 2016 after serving half of his 13-year sentence, as is normal in Britain, and he returned to Nigeria in February 2017. He has re-emerged in public life there and been feted at various events. He was due to give evidence on Wednesday via video-link from Nigeria, and he appeared briefly on a screen in court, but the connection was lost and could not be restored. The court was told a power cut in Nigeria was the reason for the glitch. Despite being a major oil and gas producer, Nigeria has daily electricity cuts - a result of decades of corruption and mismanagement in the power sector. The judges instructed that a new attempt be made to establish a video-link to Ibori on Thursday.